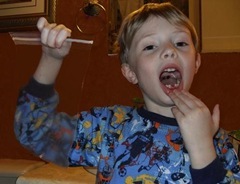 On March 5, my lil guy comes home from school all excited that he has his first loose tooth. He is ecstatic, in fact. I take a tissue and feel the tooth and it is loose, but I knew it would take several more days before it would actually fall out. So everyday he wiggled and jiggled it. And gave updates on the tooth’s progress. I asked on Twitter for suggestions on ways to help the tooth along. I got great replies with the most popular being "eating hard foods, like apples, carrots and day old bagels." The apple was the only suggested food my son eats. Then finally, Sunday, March 14, around noon, he runs into the kitchen proclaiming "my tooth fell out, my tooth fell out"! He had climbed up onto the counter in his bathroom and said, "I just turned the tooth all away around and it just fell out". That simple. 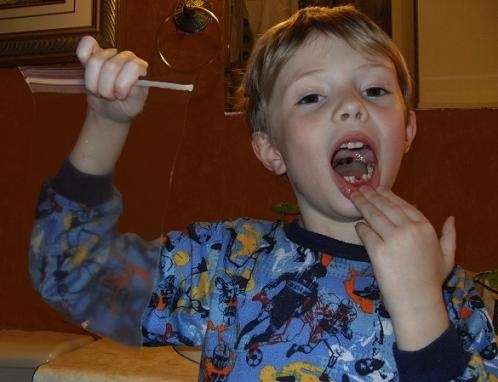 Loosing a tooth for a child is a major event. Especially the first one. They compare how many teeth they’ve lost (or not lost) with their friends. Out of his seventeen classmates I know which two have not lost a tooth yet. And who has lost the most teeth thus far. I didn’t realize just how important keeping his first tooth was to my son. When I told him that the tooth fairy would come and take the tooth and leave him money – he got so upset. 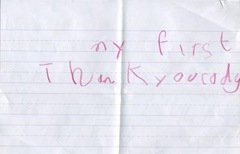 He was adamant that he did not want the tooth fairy to take his first tooth. 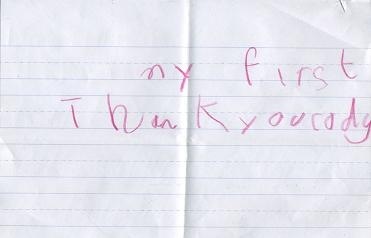 So I suggested he write a letter to the tooth fairy and that if he asked her to leave it, just maybe she would. He went straight away and wrote the letter. He also wanted his tooth placed in a baggie so it would not get lost. So Sunday night we placed the letter with the tooth under his pillow. 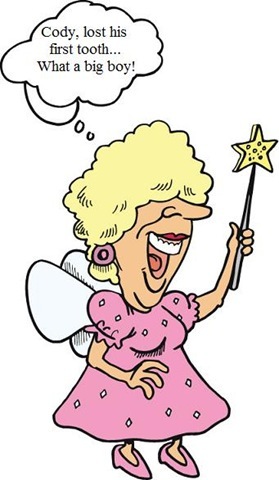 And the Tooth Fairy, in all her glory, did visit our house that night. She is a kind and generous soul… she did in fact, leave his tooth with a $5.00 bill. One tooth down nineteen more to go. 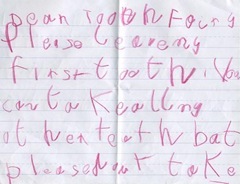 Cute story; I can’t wait until I lose my first tooth. I’ll have to look into those day-old bagels.